Nestling on the edge of the Cotswolds facing the River Avon, Bradford-on-Avon is a picturesque historic market town and the ideal destination or a romantic break. Teeming with medieval architecture, canalside pubs, award-winning restaurants and chic tea-rooms, the town floats in a timeless tranquility. Surrounded by gorgeous countryside perfect for long aimless strolls, you will fall in love with this quaint and quiet town. The best places to stay in Bradford-on-Avon will ensure that you do. An ancient bridge stands at the heart of the town. 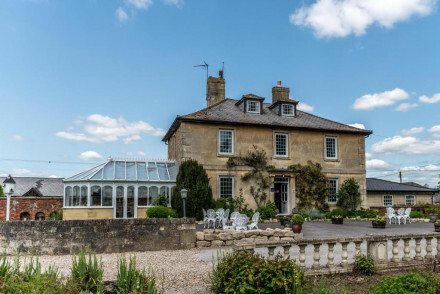 Retaining two 13th century arches, it offers gorgeous views of both the River Avon and the hills above the town that are peppered with old weavers' cottages, while the Avon is lined with disused cloth mills dating back to the 19th century. The town itself is a maze of old alleyways and grand clothier houses and the buildings themselves are all tinted with the same honey-coloured stone. Aside from wandering the streets, passed the canalside pubs, award-winning gourmet restaurants and charming little tea-rooms like the Lock Inn Cafe, activities like cycling and canoeing are popular, owing to the presence of the River Avon and the surrounding hills. Consider hiring some bikes from the Towpath Trail Hire Centre, (where you can also hire canoes) and go for a bike ride through the ruffled green landscape. As for historical heritage, there is much to feast your eyes upon. The Tithe Barn is a fascinating local institution: a 14th century storage complex pwned by the Shaftesbury Abbey - the richest nunnery in England - where the annual tithes would be stored in the medieval era. There is also the Holy Trinity Church, from the medieval era, whose stained glass and ancient interior is as beautiful as it is tranquil. Go for a stroll through the picturesque medieval streets and feel lost in time! Check out the Tithe Barn, a 14th century storage facility owned by England's wealthiest nunnery. For a bit of calm and respite, visit the Holy Trinity Church! Enjoy the many canalside pubs, gourmet restaurants and tea-rooms. Hire a bike from the Towpath Trail Hire Centre and explore the countryside! Walk along the ancient bridge and drink in the views. Picturesque and quaint, Bradford-on-Avon is a fantastic destination for a romantic weekend break. 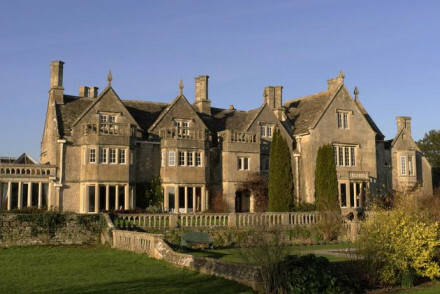 Check out our collection of the best places to stay in Bradford-on-Avon to find out more! Timbrell's Yard: on the banks of the river, in a Grade II-listed building, offering smart and chic rooms decorated in muted tones and an elegant style. Enjoy sumptous meals at the restaurant! Ideal for couples. Amazing value! Widbrook Grange: a stylish country escape offering individually-styled rooms complete with antiques furniture and cool artworks. Enjoy the indoor pool, impressive selection of gins and their amazing restaurant. Absolutely divine! Woolley Grange: a luxury family retreat set in a gorgeous Jacobean manor, offering comfortable and modern rooms, a varied gourmet restaurant, games room, childrens club, a pampering spa and beautiful gardens to explore. Great for families! The best time to go is during the summer, when the temperature ranges between 10 and 22 degrees. Fly or get a train to Bristol, then get a train to Bradford-on-Avon. Timbrell's Yard is located on the banks of the river in Bradford-upon-Avon. Set in a Grade II listed building, this recently refurbished property offers smart boutique accommodation with plenty of muted tones and wooden features. Enjoy hearty pub meals at the restaurant! A lovely spot for couples. Value chic - A lovely stay at great value-what more could you ask for? A chic country escape set in glorious countryside and with easy access to historic Bath. Individually styled rooms are brimming with charm. A muddle of antiques, well placed artwork and all mod-cons. An indoor pool, enormous selection of gins and exemplary restaurant make this a special place. Country Escape - A small boutique property offering some serious country style amidst beautiful landscapes. Great walks - Embark on long walks through the beautifully landscaped gardens and rugged parkland at Stouhead. Sights nearby - Make a trip to nearby Bath to visit the UNESCO World Heritage Roman Baths.